Accessorize your phone and tablet with fine Wooden Keyboard Skins – Wood Themes for Keyboards with Cool Backgrounds and Fonts and experience a completely new level of typing messages. 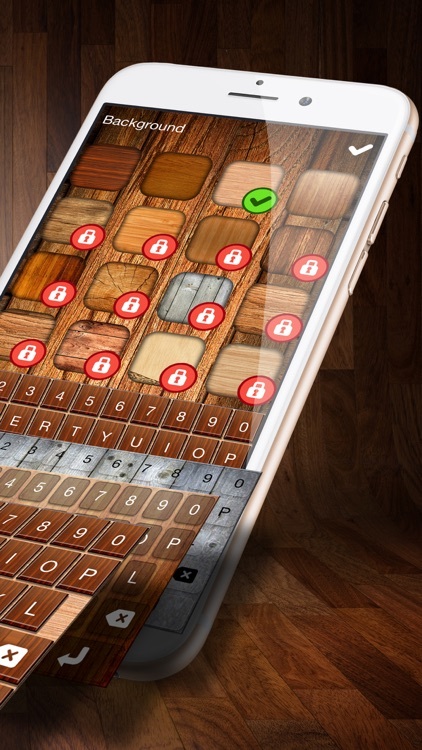 These phone keyboard skins are fantastic for all the people who love natural materials and wooden patterns. The wood theme will make your phone unique and very modern. A special design and position of keyboard keys will make typing more smooth and pleasant so you can chat with the people you love for hours without difficulty. ▶ Best wood free for massaging! 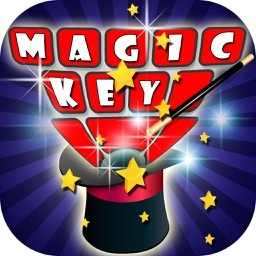 ▶ NO ADDITIONAL SOFTWARE NEEDED for using this free app! 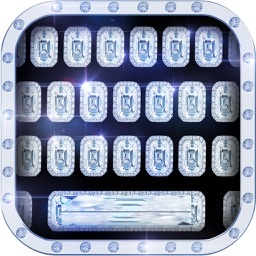 ▶ Best typing experience for your iPhone and iPad! ▶ Wooden keypad makes your typing faster and more accurate! ▶ Fantastic fancy keyboard design that glows in the dark! 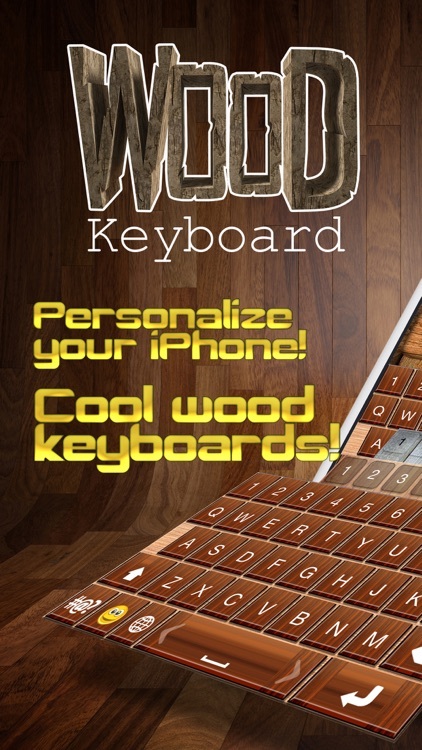 ▶ Different wood texture keyboard skins on your disposal! ▶ Easy-to-type colorful keyboard free for your love messages! 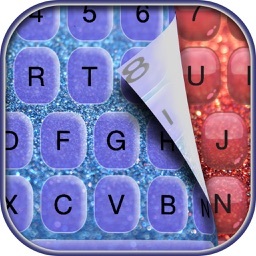 ▶ Enjoy the most beautiful and colorful keyboard themes! 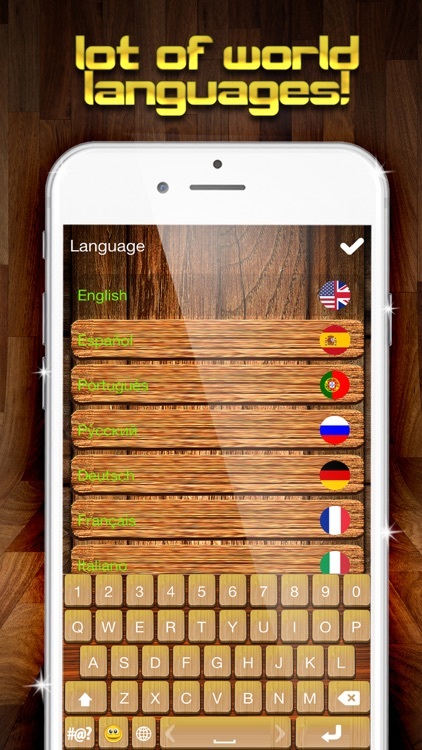 ▶ Select a language and get a English keyboard, German, Italian, Spanish, Russian, Portuguese or Turkish keyboard. Type love messages in the most romantic language in the world by choosing a French keyboard pro! ▶ Make awesome shortcuts! Select words for numbers – Choose a word for each number, then, put the word in a message with a long click on the number. ▶ Now you can customize your fancy keyboard software – select a wood background theme you like and be sure that your iPhone will look so cute. ▶ Choose your favorite key style – pick up the shape of the key you like the most to make a unique keyboard in a second! 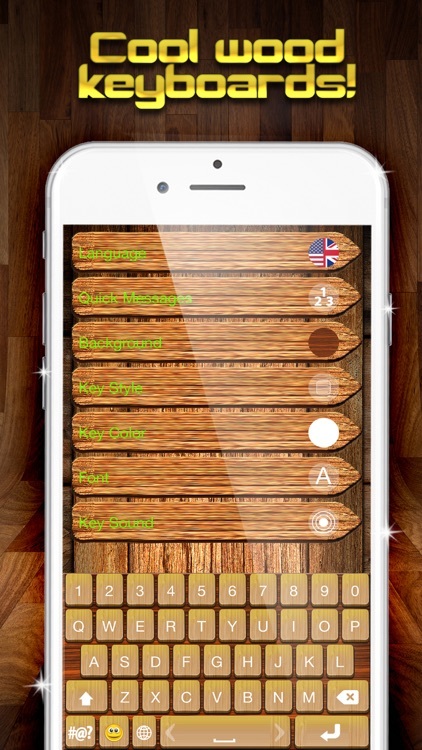 ▶ Check the key color that go perfectly with your new wood keyboard background! ▶ Try out fantastic fonts that will make your chatting and texting super cool! ▶ Choose some of the feedback options: feel the power of every letter by adding a keyboard sound for texting to enjoy more! ▶ Get emoji that will make your texting fantastic. Use emoticons to show your feelings and make texting more interessting! Prepare for the new fancy look of your device add wooden keyboard keys and change the look of your phone immediately. Typing has never been easier and quicker the multilingual keyboard will help you use your own language and your own alphabet which is usually impossible with a classic keyboard you have on your phone. 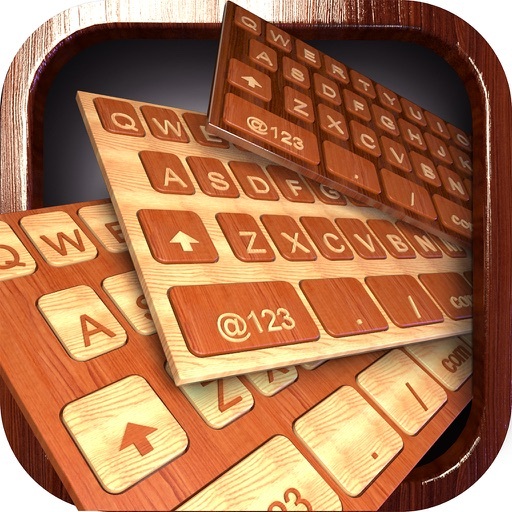 So, if you love things made of wood, Wooden Keyboard Skins – Wood Themes for Keyboards with Cool Backgrounds and Fonts app is certainly the best app that will personalize your phone in a second. Enjoy!